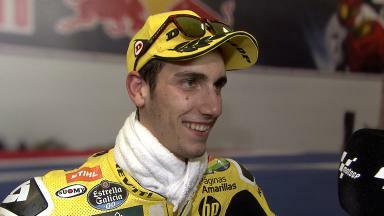 Alex Rins takes a surprise lead in the Moto2™ World Championship, after claiming his first ever Moto2™ podium in Austin. The Paginas Amarillas HP40 rider followed up his impressive 4th placed finish in Qatar with another brilliant ride, as he secured the final spot on the podium to sit on top of the Championship standings. 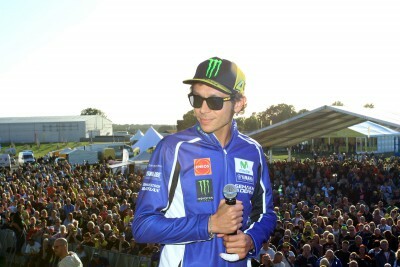 "I am very happy with the race. The race was very difficult at the same time very funny. 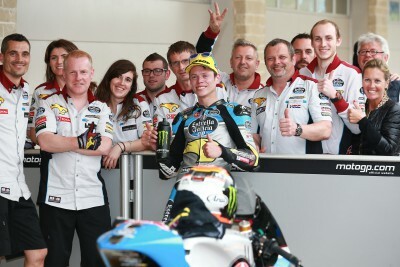 This is my second race in the class and to get a podium is great for me and the team. 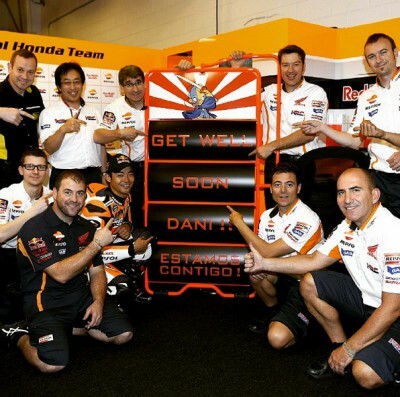 We must improve our starts though, as even though it’s early in my Moto2™ career, I am making it hard for myself. I learned a lot in this race because I rode with the leaders and I have seen many things. 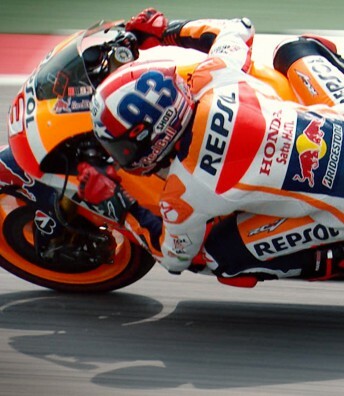 The leadership is fine but I'm still a rookie and there are many more races." 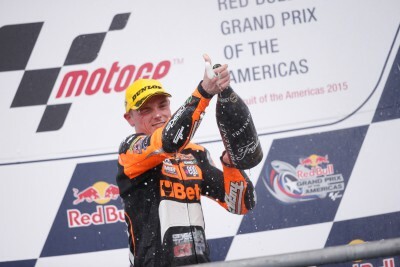 Lowes: “I am happy to show that I can fight for the title"
Speed Up Racing’s Sam Lowes found it hard to hide his delight after he took a hard-fought maiden Moto2™ win in Austin. 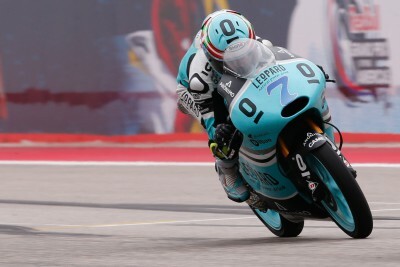 Efren Vazquez was the surprise of the day as he secured his first Moto3™ podium of the season, continuing his comeback from injury. 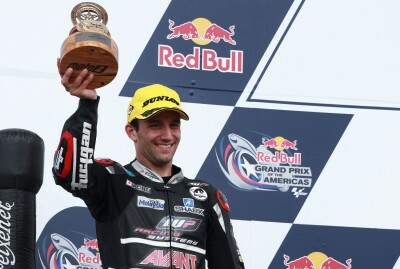 Ajo Motorsport's Johann Zarco took second place in Austin, scoring the first ever Moto2™ podium for the Finnish team. Tickets for Riders for Health’s Day of Champions 2015 are on sale now. 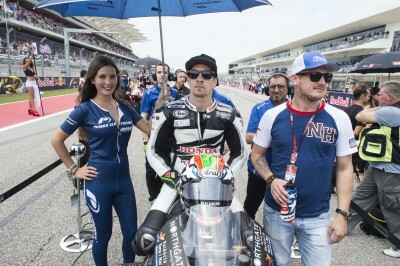 Dovizioso: “We confirmed that the GP15 is competitive"
The Ducati Team scored a superb podium in Austin after Dovizioso finished the Red Bull Grand Prix of the Americas in second place. 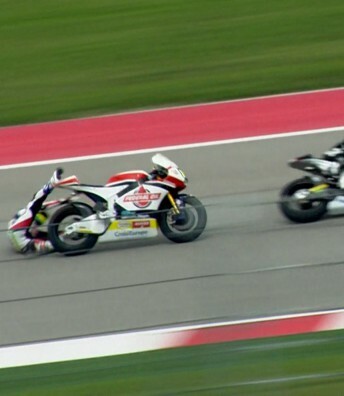 CWM LCR Honda rider Cal Crutchlow finished seventh in Austin, emulating his result form the season’s opening race in Qatar.